Attorney Steven Andrew Jackson was curious about one of his estate planning clients. Jackson asked what he did. “Listen,” Mitchell told his attorney. Mitchell — who passed away a couple of years ago in North Carolina — was a man of few words. He loved his country and was adored by family and friends. He also loved Texas Tech University, and his generosity will help engineering students with scholarships for a long time. 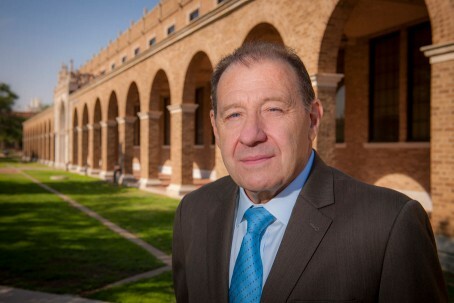 Mitchell made small annual gifts to Texas Tech from 1983 to 2009. Then the yearly contributions stopped arriving in the mail. It wasn’t until 2016 that Nathan Rice, director of gift planning for the Texas Tech University System, got a call from Jackson saying Mitchell had left a $1.7 million gift from his will to support the C.V. Bullen Scholarship Endowment in the Department of Electrical & Computer Engineering. “It was already a good-sized scholarship fund of $300,000,” Rice said. 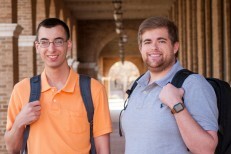 Last year, three students in the electrical and computer engineering department benefited from scholarships awarded from the endowment, which was established to honor the department’s former chairman. Mitchell’s gift more than quintupled the size of the fund. When Texas Tech received the gift from his estate earlier this year, the university went from being able to award approximately $15,000 a year in scholarships to $90,000. It’s the kind of substantial increase that will make an impact on scholarship students for years to come. “His gift will touch hundreds of lives, and who knows how many other Frank Mitchells this will produce,” said Al Sacco, dean of the Edward E. Whitacre Jr. College of Engineering, which houses the electrical and computer engineering department. “Frank Mitchell is typical of what I call silent heroes in government you never hear about but keep the country safe and allow us to be free to argue on TV,” said Sacco, who served the government himself as a chemical engineer payload specialist on the Space Shuttle Columbia STS-73 mission in 1995. “Someone of that caliber, who the government doesn’t pay much and dedicates his life to his country to keep us safe — we celebrate athletes and this guy does it 24/7 for 40 to 50 years. I have nothing but admiration for him,” Sacco said. Mona Martin knew Mitchell was there when she was baptized at 8 months old. The first time she remembers seeing the man she called Uncle Frank was when he married the woman who became her Aunt Emily in South Carolina. Over the years, Martin visited her aunt and uncle in suburban Washington D.C., where the couple lived while working for the government. Mitchell was born in Oklahoma, she said, but raised in Lubbock before attending Texas Tech. He also took classes at the Massachusetts Institute of Technology. Martin had numerous Lubbock connections beyond Mitchell — her brother attended Texas Tech and a cousin taught biology at the university. “Lubbock was like a second home,” she said. 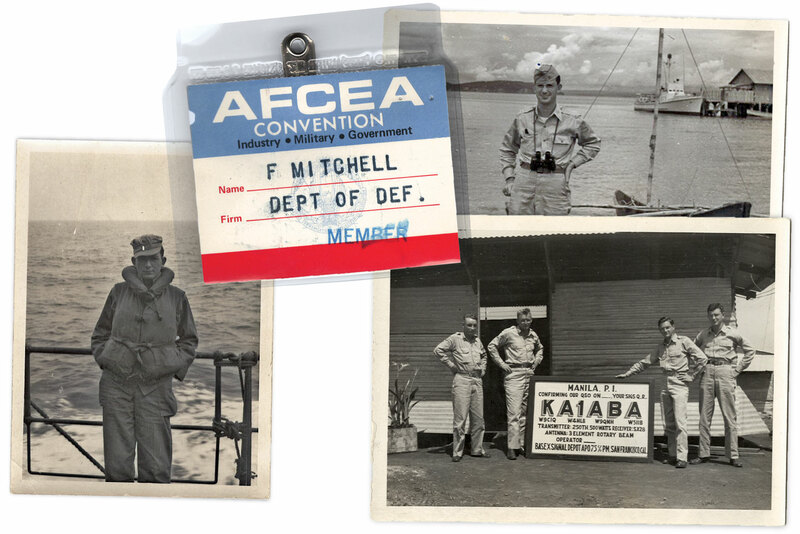 Clockwise from top left, Frank Mitchell's AFCEA Convention badge; Frank Mitchell on the beach at Mariveles, Philippines, with Corrigidor Island visible behind him in June 1946; from left, Herb Cooley, Bill Cole, Bob Ericson and Frank Mitchell in front of KA1ABA on U.S. Army Base X in Manila, Philippines, in May 1946; Frank Mitchell aboard a ship crossing the International Date Line at 47 degrees north in August 1946. Martin ended up in North Carolina, as did her aunt and uncle when they retired. The Mitchells never had children of their own. Still she had no idea what Mitchell had done all those years working for the government. During one of her D.C. visits, she asked the couple what they did. “And Frank said nothing. He just looked at me — never said a word. He was as quiet as his father,” said Martin. Years later, Mitchell did speak. “My brother said he worked for the NSA, and I said I think I’d know after all these years,” she said. So she asked her uncle, and he said yes. “I almost fell off my chair,” Martin said. “He didn’t go any further,” she added. Later Martin and her husband found a passport with stamps showing Mitchell went to London and Paris in the ’40s after the war was over. 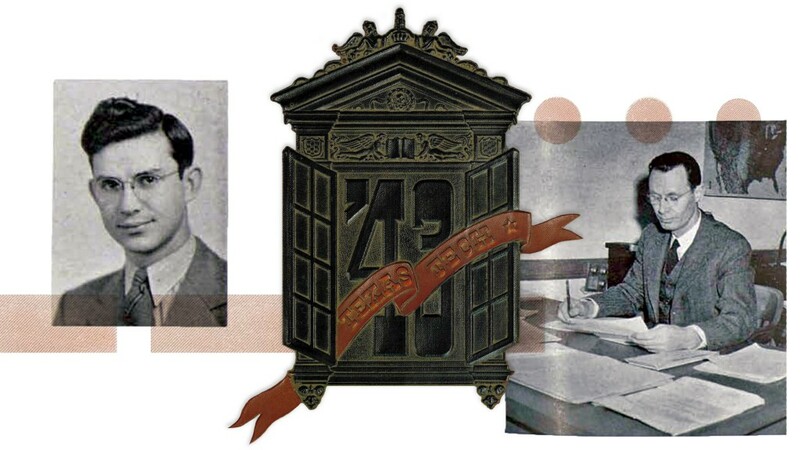 Her brother spotted a plaque commending Mitchell for service to the National Security Agency, one of the nation’s largest and most secretive intelligence organizations. 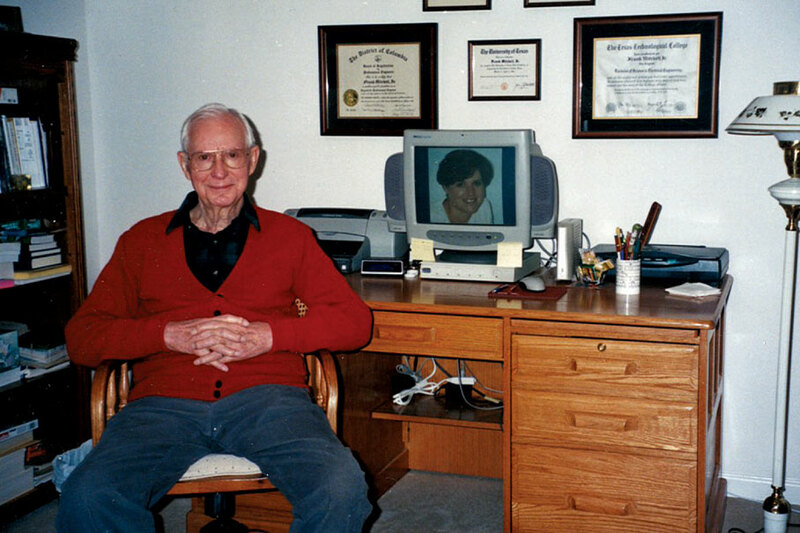 Martin’s husband believed Mitchell was head of the encryption division — a spy. “It’s like he never wanted anyone to know what he did,” she said. Someone at her aunt’s memorial service, whose husband worked with the couple, said they all worked together. “She didn’t know what they did — and if she did she wasn’t going to tell me,” Martin said. 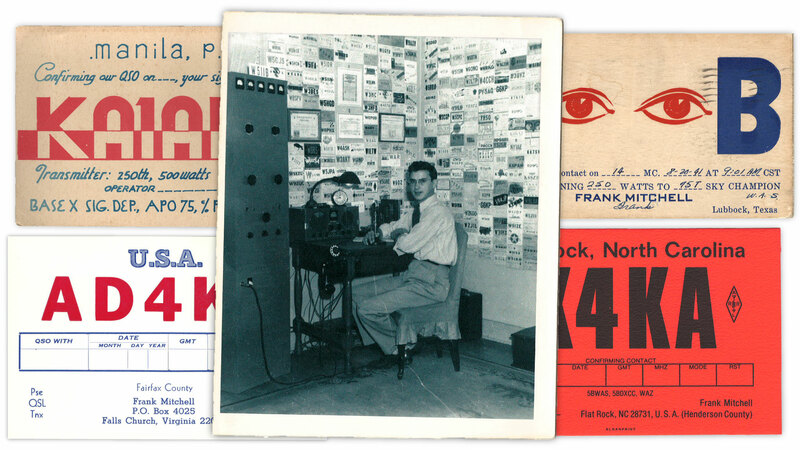 Frank Mitchell, photo, sits at his amateur radio flanked by walls covered in his collection of QSL cards, customized slips of paper used to confirm radio transmissions between operators. Surrounding the photo, clockwise from top left, QSL cards used by Mitchell from KA1ABA Manilla, Philippines; W5IIB Lubbock, Texas; K4KA Flat Rock, North Carolina; and AD4KA Falls Church, Virginia. Mitchell knew Morse code, too. As for his engineering background, Sacco explained that not everyone who graduates from Texas Tech with an engineering degree ends up being an engineer their entire career. “We teach problem-solving skills, and they are applied a number of different ways,” Sacco said. Mitchell and his wife also played golf together. 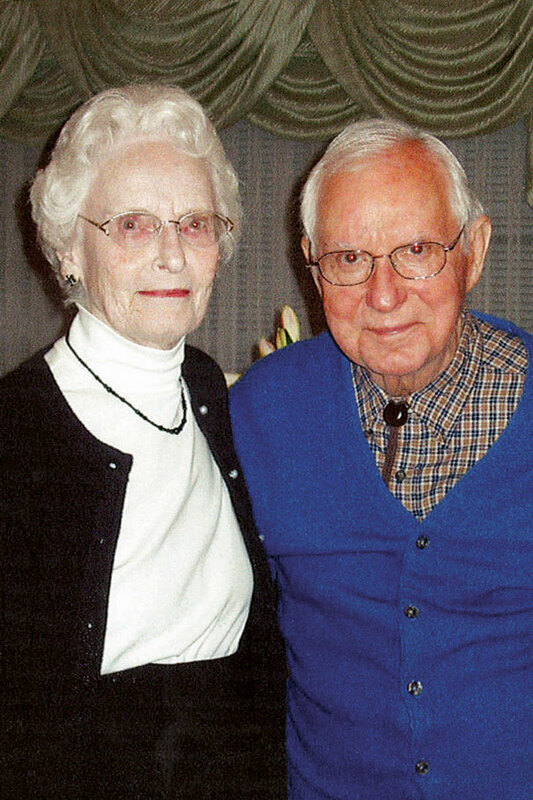 Lee Wilkinson, the couple’s investment adviser for Oppenheimer & Company in Asheville, North Carolina, shared a story about the couple’s love. “When they moved from independent living to assisted living, then to skilled care they had private rooms. They didn’t want private — they wanted a room together. But Medicare rules said you could not have two beds in one room. So they got a bariatric bed where they could cuddle into their ’90s,” Wilkinson said. “They loved each other dearly,” he added. Texas Tech was always important to Mitchell. Frank Mitchell, left, as a senior at Texas Tech University in 1943. Embossed leather cover design, center, of the 1943 La Ventana, the yearbook of Texas Tech University. C.V. Bullen, right, working at his desk in the Department of Electrical Engineering in 1943. Mitchell kept on top of Red Raider sports and liked it when they received national recognition, Jackson said. But the education he received from faculty at the institution meant even more. His gift to the university was made in honor of C.V. Bullen, one of Mitchell’s professors and namesake of the C.V. Bullen Scholarship Endowment. 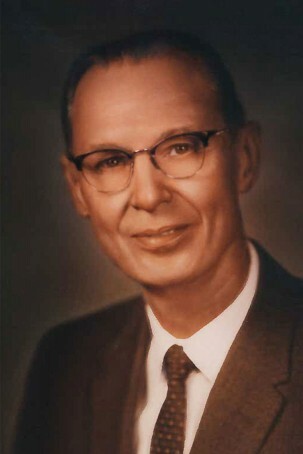 Bullen was the first chairman of the then-named Department of Electrical Engineering at Texas Tech University, a position he held from 1932 to 1960 — a long time in higher education. From what Sacco has heard from longtime faculty in the college, Bullen was “very much in tune with students. Class sizes were smaller, and he was not only a teacher but a parent figure. Mitchell’s generosity was made possible by the success he had with the NSA and the engineering degree that prepared him for a career with the selective intelligence agency. 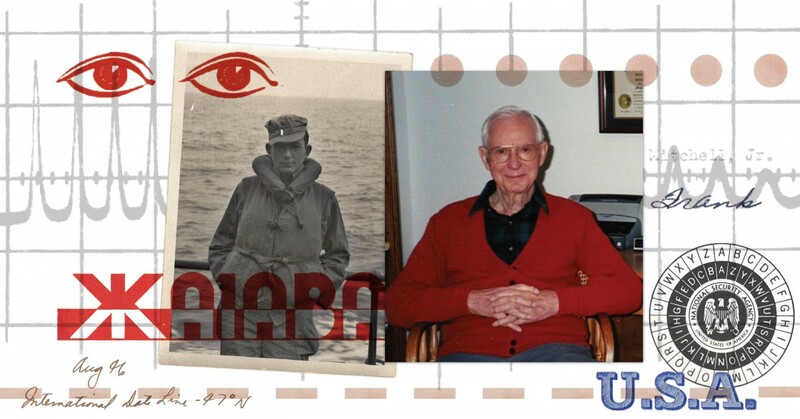 “He was very bright — he would anticipate where you were going to go. You never had to explain anything twice and his questions were right on point,” Jackson said. “Frank had real, quick easy laugh and smile and a good sense of humor. He wouldn’t tell a joke, but maybe he’d be the first one to pick up on a joke,” the attorney said. “He was a pretty conservative guy financially. He had a 2003 Toyota Avalon but it was immaculate. He always had a manual for whatever it was,” Jackson said. Frank Mitchell, left, with a bow and arrow and, right, sitting at his desk at home. 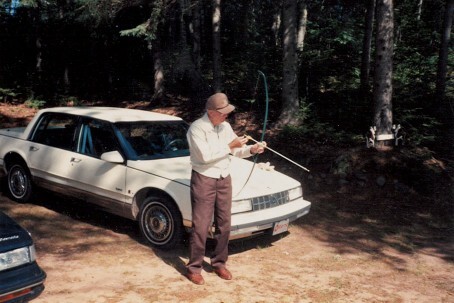 Instead of paying to have an antenna installed for his ham radio, he tied the antenna on an arrow and shot it into an oak tree in the back yard, said the attorney. His investment adviser described Mitchell as a savvy investor. “He was one of those visionaries — a very forward-looking person. Around the late ’80s he called and said, ‘I think these personal computers are going to be a bigger thing than people think,’ and we put money in those companies and did well,” Wilkinson said. The Whitacre College of Engineering has been growing by about 3 percent a year. 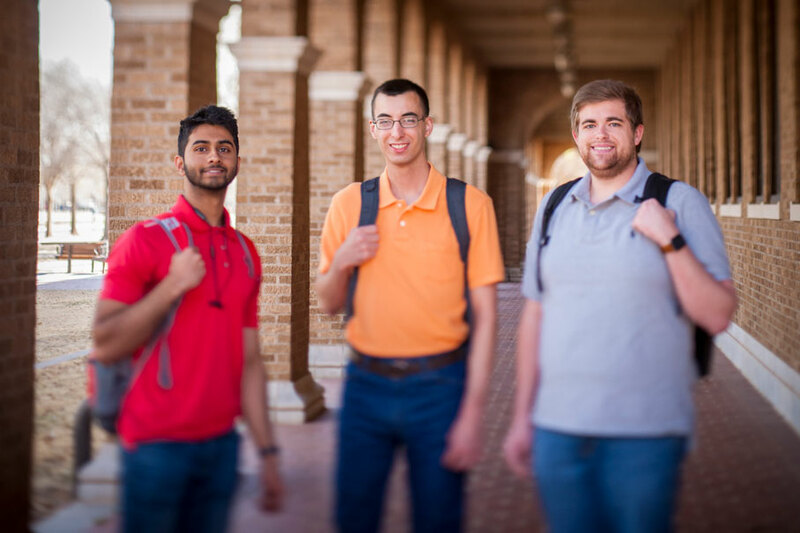 There are now 5,400 undergrads, and Texas Tech wants to cap it at 6,000 to preserve an acceptable student-faculty ratio. Texas Tech will need to be more selective in its admissions criteria. But to keep improving the college’s reputation, the university will also need to compete with other schools for the top 10 to 15 percent of eligible freshmen to help raise the bar. A gift from your will is an easy way to make a lasting impact at our universities. To accomplish this, the college needs to expand the number of scholarships it awards. “We want to change the world and be globally elite,” he said.